After laying a new floor I accidently dropped my YAESU G-5500 elevation - azimuth dual controller box which resulted in fault on the azimuth meter needle. The needle pinged to the right when I powered the unit up which was a pain in the back side after doing such a careful job up until that point. I had a look for the obvious but could not see anything suspicious on inspection so I decided to seek expert help. 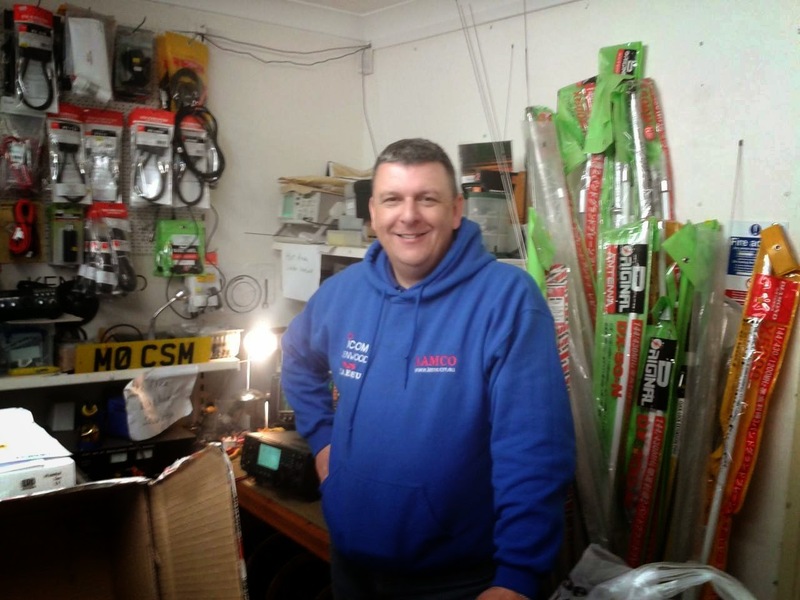 At first I found myself struggling to think of who and where I would be able to get a quality repair as amateur radio equipment is not the typical run of the mill tv or pc hardware. 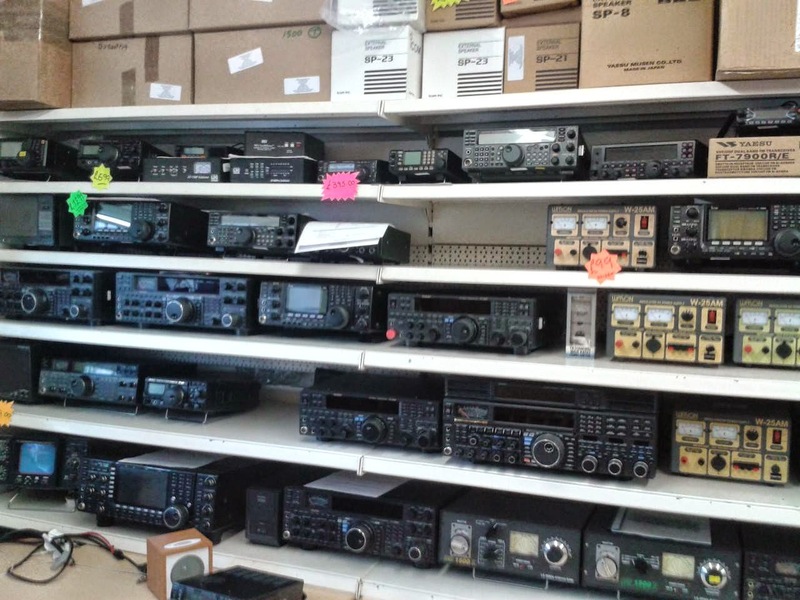 The region that I live in is not the best for finding amateur specialists but fortunately there was a radio shop in South Yorkshire, about 35 miles away. I looked up the number and gave LAMCO a quick call, they told me the good news that they had a radio equipment repair service. So off we went down the M1 and came across a helpful friendly fellow amateur Dave - M0XIT who made us very welcome at LAMCO's. The shop is packed with lots of goodies, I spent a good 45 minutes looking at all the equipment (with my tongue hanging out). 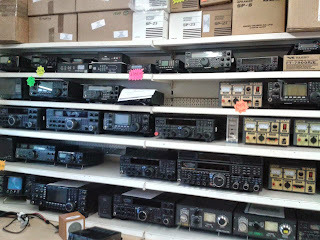 The stock level was excellent there were transceivers, antennas and various kit to equip any amateur operator or SWL. 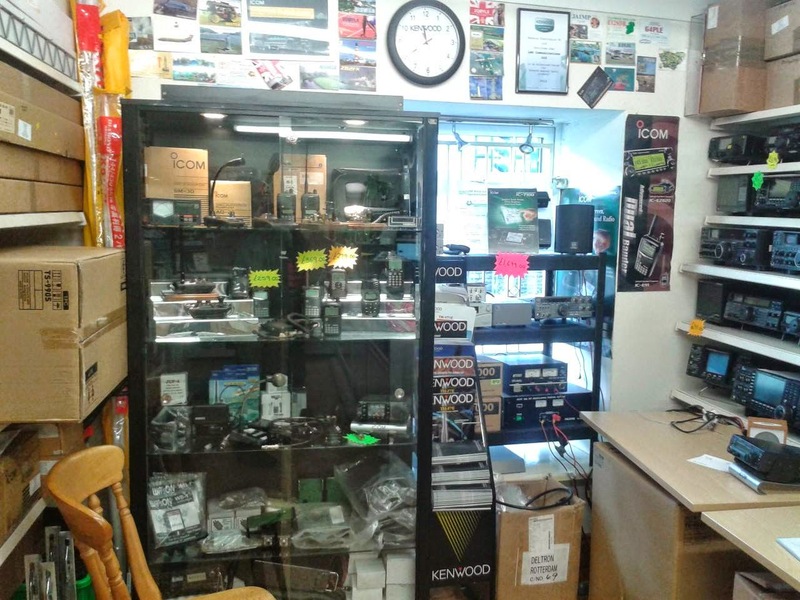 The latest ICOM 7100 was there on demo for all to see. I know where I will be going when I want some more equipment in the future!